With global warming, growing population, increased desertification, and other global issues looming large, severe water shortage will soon become a reality. The shortage of water is predicted to become more of an issue over the next coming decades. Because the earth is covered in water, the risk of a global water shortage seems unlikely. Roughly 97% of the world’s water, however, is saltwater, which means it can’t be used for drinking, cooking, or agriculture. The remaining 3% of freshwater is not exactly easy to access. Scientists estimate that approximately 66% of the freshwater supply is located in glaciers, ice sheets, and not yet discovered underground reservoirs. Research indicates that over 1 billion people in the world live with conditions of water shortage on a daily basis and an additional 4 billion live with water scarcity at least one month every year. Water shortage has become such a widespread problem that it is now listed as one of the top 3 global problems, along with terrorism and climate change. This issue can be found across a wide range of geographic locations, including: places where water is naturally scarce, like the desert; places where consumption is double the amount of available water, like in overpopulated cities; and places with a high use of irrigation for agriculture, like in the plains area of the US. Water shortages around the world are caused by the act of using more water than that which is available. This problem is exacerbated by global climate change, which results in changing weather patterns and temperatures, and urbanization, which increases the demand on already short supplies. These changes affect the amount of rainfall and rate of water evaporation that occurs within a region, which means that the water replacement rate slows down. Water is life and as the global human population continues to increase and the available supply of water continues to decrease, some very serious consequences are expected. Plant and animal biodiversity will decrease as environmental habitats around the world begin to change. Communities throughout the Middle East, particularly in Iran, have already experienced this sort of habitat change, seeing deserts replace green landscapes. Additionally, water shortage affects agriculture, causing insufficient production and crop failure. This failure means lost economic opportunities and food shortages. As people are increasingly faced with inadequate food and water supplies, desperation will turn into conflict and these conflicts will likely be violent. Several researchers expect wars to take place over water supplies in the near future. In fact, water shortage is considered one of the factors that led to the civil war in Syria. By the year 2030, just less than 15 years from now, the United Nations has estimated that more than half of the global population will be without a constant and reliable source of water. In addition, scientists have reported that the water shortage will be more widespread and severe by 2040. The center of this water crisis will take place in geographic areas that are already arid. Every year, the evidence points to increasing and more severe instances of water shortages around the world. In a study of 167 countries, the World Resource Institute measured the impact of water shortages by measuring the use and depletion of water sources and considering socioeconomic situations and climate models in each country. The upcoming water supply crisis will be felt primarily in 33 countries, 14 of which are located in the Middle East. Of these 14 countries, 9, in particular, were given the highest possible score (5) of water stress. These nations are: Oman, Saudi Arabia, Lebanon, Bahrain, Kuwait, Qatar, Israel, Palestine, and United Arab Emirates. Other countries with a score of 5 include: Singapore and San Marino. The Middle Eastern countries in this study are all located in arid, desert-like areas. 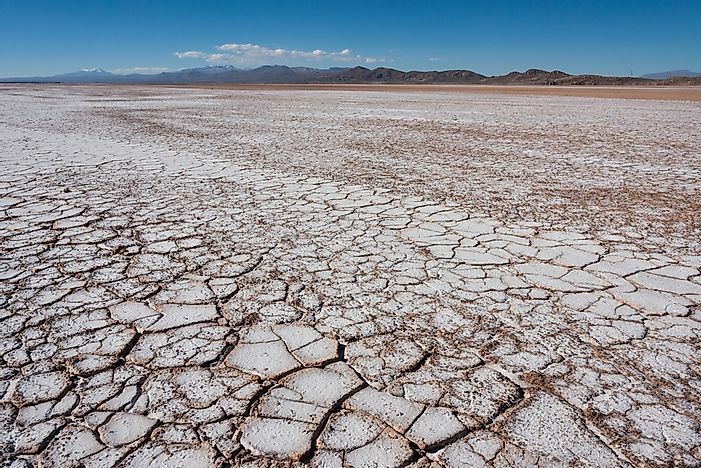 Increasing temperatures and conditions of drought will continue to worsen the effects of water shortages in these regions, most of which already rely on desalination and groundwater to meet freshwater needs. In Saudi Arabia, for example, the available water will soon be insufficient for agricultural needs. In response, the government is planning to import 100% of its wheat supply. Additionally, Palestine and Israel (both with a score of 5) already have a history of conflict over water supplies, which will grow more extreme as this crisis continues. Although the following countries will not suffer the greatest water shortages, they are expected to experience the largest increases in instances of inadequate water supplies. This great decrease will be most obvious in: Albania, Botswana, and Estonia. Not one of these countries is on the list of highest water shortages and has not had to manage the issue of rationing a rapidly depleting supply. Between 2020 and 2040, however, their residents will be thrown rather quickly into the crisis of wondering where their daily water supply will come from. Countries with large economies will also experience increases in droughts and decreases in water supplies, although not to the extent of the previously mentioned nations. Of particular concern are India, China, and the US. The water stress score in these countries is not high, however, it is only a reflection of the national average. It does not take into account specific geographic areas within countries, which may suffer more serious water shortages than other areas within a county. For example, the Ningxia province in China and the southwest of the US are already experiencing water shortages. This problem is expected to increase between 40 and 70% of current levels as industry and population demands increase over the next few decades. Water shortages in these countries will have an extreme impact on economic development, slowing growth for industry, agriculture, and the local populations. National governments around the world need to assess the data available on global water shortages in order to create policies and plans of action to address these issues. Without crisis prevention, the people and businesses of a country will become highly vulnerable to changes in water availability as they become increasingly dependent on specific amounts of water. The only way to ensure reduced water shortages is to implement conservation techniques around the world, with each government sharing in the global responsibility of water management. Experts agree that the fight against inadequate access to freshwater requires a coordinated international effort.